One month into the cyclone season and there is another tropical disturbance upon us. Our weather forecasters have warned that the approaching tropical disturbance could easily intensify into a full-blown cyclone by today, spelling danger for most of Fiji. A Tropical Cyclone alert has been issued for Rotuma, Yasawa Group, Vanua Levu, Taveuni and nearby smaller islands, Northern Viti Levu, Northern Lau and the Lomaiviti Group of islands. The warnings are clear and must be heeded, because the risks that come with inclement weather are usually profound and have lasting impacts. Already, there is a frantic search underway for seven Gau Island men missing at sea since last Wednesday. Authorities say they could have become victims of rough seas. Their disappearance has shocked the small island of Gau, whose people can do nothing but wait as the Navy mounts a costly search and rescue mission. It’s a stark reminder to everyone that warnings must be respected, safety precautions are a must before any journey and the risks associated with bad weather should never be underestimated. The start of the New Year will become tragic, should these men never be found. It is good to see our authorities, along with city administrators, being proactive in light of the weather warnings. Street parties organised to herald in the New Year have been cancelled countrywide as winds intensify, rainfall becomes heavier and more frequent and rivers begin to overflow. Parents and guardians must similarly think ahead to keep children safe until the bad weather passes. 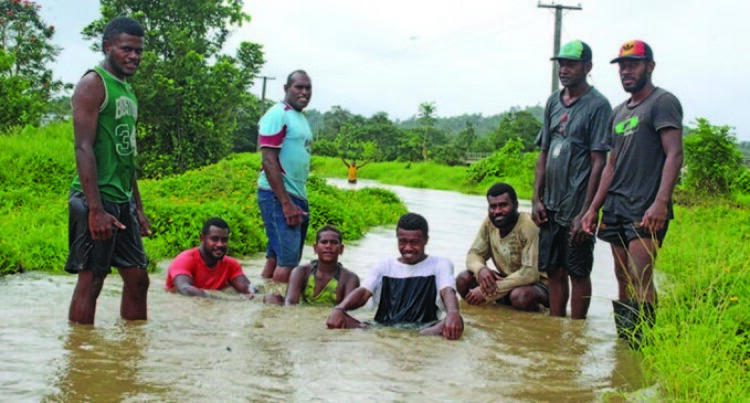 A chronic problem in Fiji that normally leads to an unnecessary loss of life is children swimming in flooded areas. It is incomprehensible how adults continue to let this happen, given the lessons history have for us. Police will be ready to step in and correct negligent conduct during the bad weather in order to prevent loss of life and keep Fijians safe. However, even the Police have their limits and it is everyone’s responsibility to take heed of the necessary safety tips. Bad weather can also have adverse economic impacts on the country, which have the potential to hinder growth and disrupt day-to-day business. Cyclone Winston in 2016 wiped off one-third of Fiji’s Gross Domestic Product and its effects are still being felt across the economic spectrum today. Disaster preparedness in recent years has improved due largely to improved technology, clearer and more frequent warnings and better access to information. And while this disturbance may never become as strong as the cyclones we have experienced in the past, it never hurts to be adequately prepared well in advance. To have a happy New Year, heed the warnings. Be careful, be sensible and be safe.